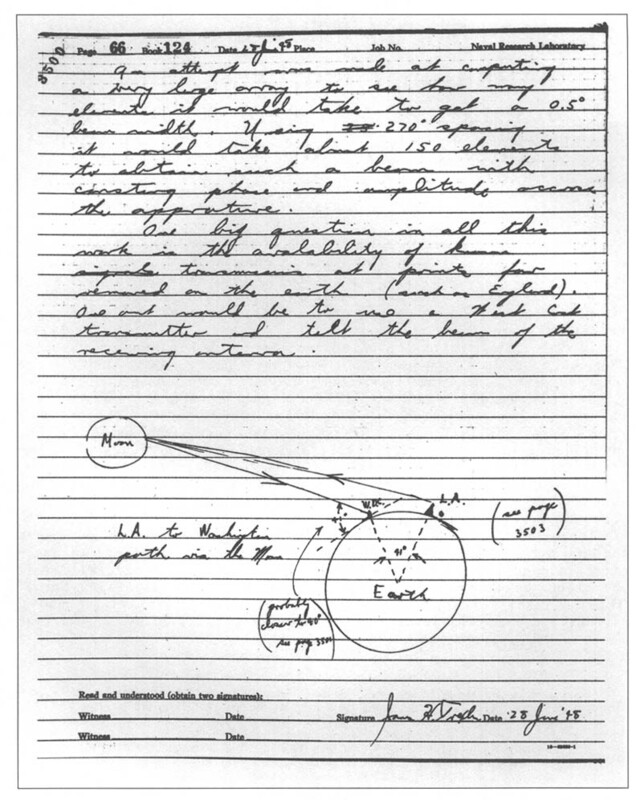 Although technology has progressed significantly over the last 100-plus years, this episode still has serious ramifications today, as it could be considered the first episode of communications electronic attack (EA) or spoofing. Maskelyne, who had set up his own transmitter nearby, seized control of the electromagnetic spectrum (EMS) and disrupted Marconi’s communications signal by overpowering it and injecting his own signal in its place, thereby delivering the new message to the intended receiver. Maskelyne’s 1903 stunt had also heralded a new era in warfare, where the EMS itself could and would be a contested battleground. Today, both non-state actors and adversary nations seek to use EA to deny the use of the EMS, which has become critical to both our daily lives and military operations. Fortunately, disruptive technologies are emerging to fill the urgent need to sense, characterize, and exploit the EMS, while at the same time deny it to our adversaries. As U.S. forces continue to become more technologically advanced, we continue to become more reliant on access to the EMS. Communications, sensor feeds, and command, control, and intelligence data all flow through the EMS and we have become increasingly addicted to the bandwidth available in permissive environments, with applications ranging from routine radio traffic to fire control radars. This demand will only increase. Net-Enabled Weapons (NEW), like the Tactical Tomahawk that can be launched at a target and then directed inflight to a new, different target, are likewise EMS dependent.6 Future NEW weapons systems will no longer be confined to a set system of dedicated sensors, but will instead draw on the many sensors available in kill webs. These weapons will include swarms of unmanned platforms and loitering munitions that can circle overhead until being directed into a target. Similarly, our existing Tactical Data Links (Link 4A, Link 11, and Link 16) and NIFC-CA are spectrum dependent; they must be able to network, communicate, and exchange data. Our adversaries know this too and are investing in capabilities that which specifically target our access to the EMS itself as part of their Anti-Access/Area Denial (A2/AD) strategies. In general, the A2/AD model is based on the tenants of both Clausewitz and Mahan in that it is focused on controlling the battlespace and attrition of the adversary’s forces. To counter this the surface Navy continues to develop its “distributed lethality” concept. Distributed lethality explores how dispersing forces could enhance warfighting by “countering A2/AD’s attrition model through maneuver warfare’s intent to probe for weakness” and once found, exploit it, and disable or destroy the adversary’s forces.7 Dispersion creates more room to maneuver, and “strains the anti-access mission and forces the adversary into executing area denial simultaneously.”8 However, distributed lethality will exacerbate the burden on the EMS as the distributed forces must be able to communicate and coordinate in order to mass effects when and where required. That said, distributed lethality has a role to play in denying the EMS to our adversaries. Sun Tzu placed high value on spies and defeating adversaries before the battle. Distributed forces can test and stimulate adversary intelligence, surveillance, and reconnaissance (ISR) capabilities to determine their scope and breadth in preparation for follow-on operations. Mapping the spectral dependencies of adversary systems before conflict is key to configuring our kill web, disrupting our adversary’s Command, Control, Communications, Computers, Intelligence, Surveillance, and Reconnaissance (C4ISR) systems, and breaking their kill chains before weapons are launched. Sense. We need sensors distributed throughout the battlespace to constantly measure the environment and accordingly adjust our weapon systems, continuously tailoring their settings to optimize performance. The “environment” includes both the ambient EM signals and the physical environment through which they propagate. 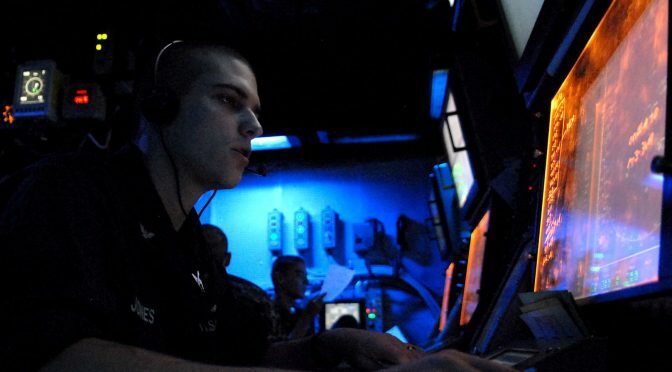 As a forward deployed service, the Navy often operates in data-sparse regions, thus every platform, manned and unmanned, must be a sensor. We need environmental and ES sensors on all of our ships and aircraft from autonomous surface vehicles to UAVs and from logistics ships to strike fighters. All this data has to be collected, processed, and most importantly sent back to our modeling and fusion centers to provide information for optimizing future operations. Massive amounts of environmental data can also be gathered “through the sensor,” in addition to the actual desired signal.13 This is analogous to the “by-catch” of commercial fishing, where additional marine species are caught in addition to the type of fish targeted by the fisherman. The bycatch is often discarded at sea, resulting in a wasted resource. The same happens during the processing of sensor data, where the extraneous signals are removed. However, this resource can be not only salvaged but used to provide a new capability. For example, Doppler radar weather data can be extracted from SPS-48 air search radars of our big-deck aviation platforms as well as from the SPY-1 radar of the AEGIS weapon system. With the multitude of sensors available there are many untapped sources of environmental data. We also need to take advantage of commercial off the shelf (COTS) data collection systems, such as the Aircraft Meteorological Data Relay (AMDAR) program that has been adopted by over 40 commercial airlines.14 AMDAR uses existing aircraft sensors, processing systems, and communication networks to collect, process, format, and transmit meteorological data to ground stations where it is relayed to National Meteorological and Hydrological Services to be processed, quality controlled, and transmitted on the World Meteorological Organization’s Global Telecommunications System. 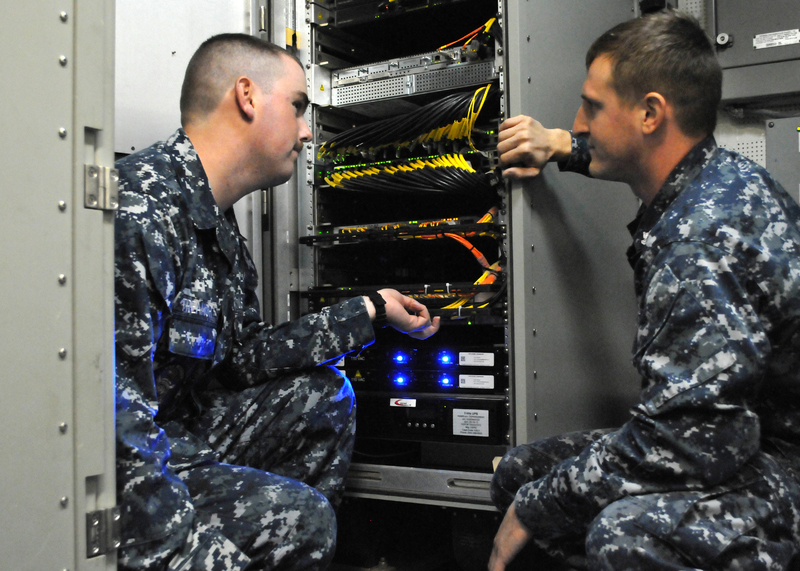 The Navy could incorporate a similar system into its platforms to collect and transmit data on both the EMS and physical environment. Exploit. Once we understand the environment, we must exploit it by adapting our tactics. We need to “seize spectral high ground” and apply maneuver warfare principles to the spectrum to assure our bandwidth. Understanding the environment better than our adversaries will allow us to evaluate trade-offs and turn Battlespace Awareness into Information Warfare. 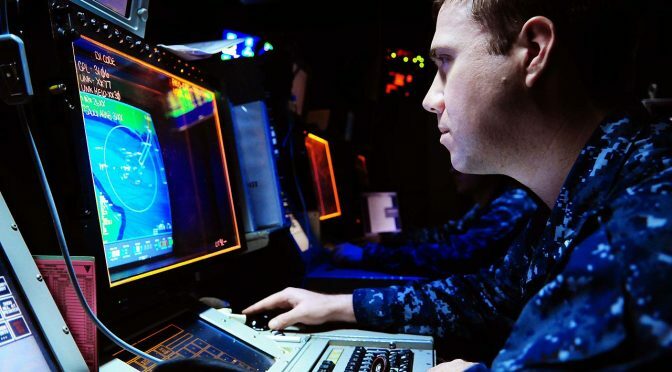 Only this will allow our forces to have the operational advantage and overmatch our adversaries by fully integrating the Navy’s information functions, capabilities, and resources to optimize decision-making and maximize warfighting effects. Deny. Finally, we need to deny the spectrum to our adversaries by further developing systems such as the Surface Electronic Warfare Improvement Program (SEWIP) and delivering the Next Generation Jammer. We must expand the HAVE QUICK radio system with the Defense Advanced Research Projects Agency (DARPA) Analog-to-Digital Converter (ADC)16 to provide anti-jam, frequency hopping secure communications that use ultra-high frequency (UHF) and require smaller antennas. We must also deny our spectral emissions to our adversaries. A good rule of thumb is that if your radar can range 100 nautical miles, the adversary can detect it at least to 200 nautical miles. With an eye toward preventing unwanted detection, we need to revisit how we communicate. With the widespread use of direction finding in World War II, radio silence was a normal operating procedure and information was passed between ships using semaphore. Today, Laser Communication Relay Systems exist that are both extremely secure and have high data rates. As a bonus, these systems use less energy and when paired with satellites, these line-of-sight systems have unlimited potential. There are multiple risks and barriers to integrating these technologies. From the operational aspect, these technologies have to interface with currently fielded systems. Spectrum management and deconfliction are already ostensibly done through Operational Tasking Communications (OPTASK COMMS) and the Afloat Electromagnetic Spectrum Operations Program (AESOP), but we still routinely have electromagnetic interference (EMI) between our systems. 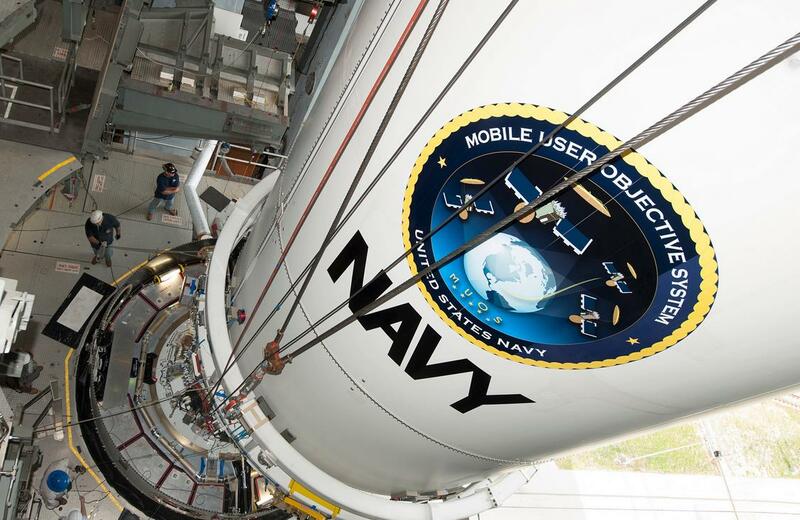 The commander of the Air Force’s Space Command said that in the first 11 months of 2015 there were over 261 cases of satellite downlink jamming. When asked how many of these incidents were caused by actual adversaries, he responded “I really don’t know. My guess is zero,” and that the real cause was “almost always self-jamming.”17 In a way, this suggests that the problem might be as much cultural as it is technical. A military workforce that has grown up in the age of unlimited and uncontested bandwidth is less aware of their EMS operations, filling (and over-filling) all available bandwidth with little discipline. This nonchalance will be difficult to overcome, but the fielding of new high-end capabilities must be accompanied by a change in mindset in order to realize maximum benefit. EMI is not confined to just our own systems. 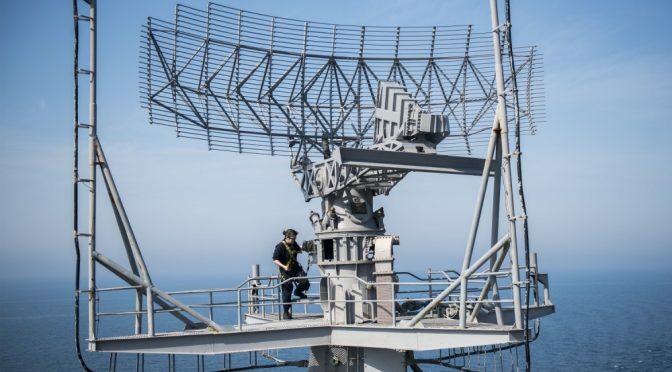 Used indiscriminately, military radar systems may be strong enough to interfere with wireless systems, air traffic control radars, and cellphone systems. In the late 1980s, a Dutch naval radar caused the Supervisory Control and Data Acquisition (SCADA) system of a natural gas pipeline near the naval port of Den Helder to open and close a valve, ultimately leading to an explosion.18 Despite a crowded spectrum at home, the U.S. government continues to sell off bandwidth and civil users continue to encroach upon what remains. The net effect is an increasing limitation on the military’s ability to effectively train stateside. In terms of security, plans to assure access to the EMS should begin before these systems are even fielded. Espionage and theft are rampant from cleared defense contractors, evidenced by the striking similarity of ‘new’ adversary platforms to our own. However, the threat even extends to university and research labs. Today’s high-tech research becomes tomorrow’s classified projects and programs; we need to ensure these capabilities are protected throughout their entire development as an early compromise of one of these technologies gives our adversaries years to either improve upon it or develop a counter. As we wage the battle of Washington, we need to prioritize investment in the capabilities described above. Roadmaps and plans are aspirational without resources and in this constrained fiscal environment there are many promising programs that will fall “below the cut line” and not be funded. However, capabilities that will enable us to own the spectrum when and where required are just as important, if not more important, than any particular ship or handful of strike fighters. At the cost of $100-plus million dollars per unit, would one F-35 Joint Strike Fighter be missed if the Navy was to reallocate this funding towards a RTSO program? If we lose the battle for the spectrum, many platforms like these will be seriously impaired and vulnerable, if not completely blind, deaf, and dumb and thus defenseless. Luckily, there have been recent admissions from senior Department of Defense leadership that these types of capabilities are critical as we move forward. This support may help identify funding for rapid transition or similar acquisition “fast track” opportunities to get these technologies to the Fleet quickly. However, the true level of commitment will be clear in the budget. The spectrum is a battleground whose control is absolutely fundamental to warfare in the information age. The U.S. military must seize upon emerging technologies that will enable it to maintain superiority in this congested and contested environment. To paraphrase Sun Tzu, “Know the enemy, know yourself; your victory will never be endangered. Know the electromagnetic terrain, know the weather; your victory will then be total.” The spectrum is no longer an “enabler” to military operations; it is the battlefield. The ideas presented are those of the authors alone and do not reflect the views of the Department of the Navy or Department of Defense. 6. Managing the Net-Enabled Weapons Kill Chain Testing in a Live-Virtual-Constructive Environment, Joint Command and Control for Net-Enabled Weapons (JC2NEW), Joint Test, Alexandria, VA, 22311. 12. A Cooperative Strategy for 21st Century Seapower: Forward, Engaged, Ready, March 2015. 13. Tim Gallaudet, Charting the ‘Invisible Terrain’ Proceedings, July 2015. 16. Thomas Gibbons-Neff, “This new DARPA chip could give U.S. a leg up in electronic warfare”, 12 January 2016, The Washington Post.